When you get ready to carry your bouquet down the aisle, many wedding professionals will remind the bride to carry her bouquet low. Why? 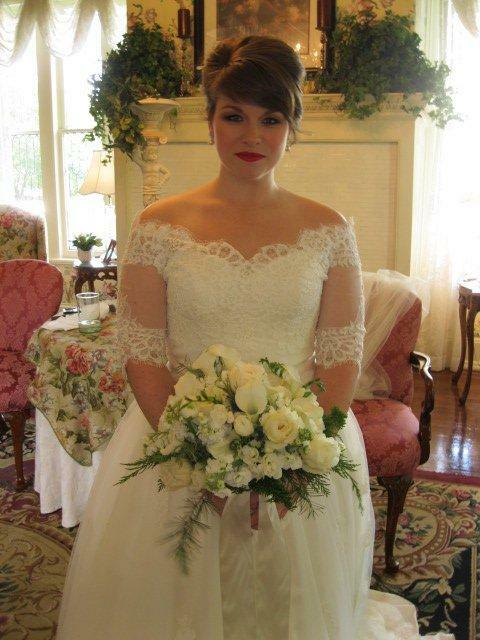 Check out these two photos showing the bride carrying the bouquet low and high. 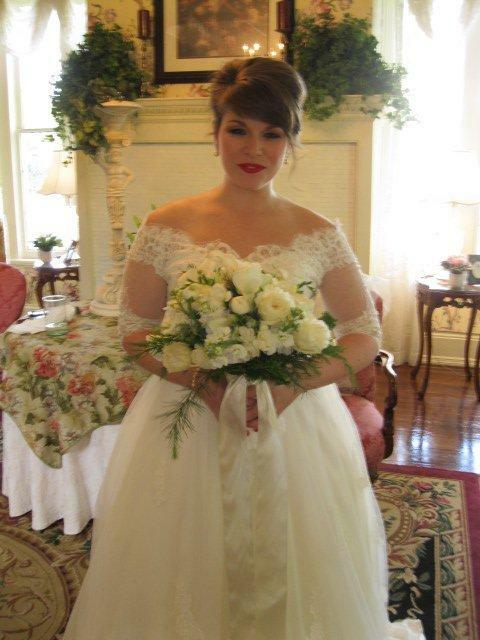 Carrying your bouquet low will show off the bodice of your dress and allow the groom to see your radiant smile without flower interference. 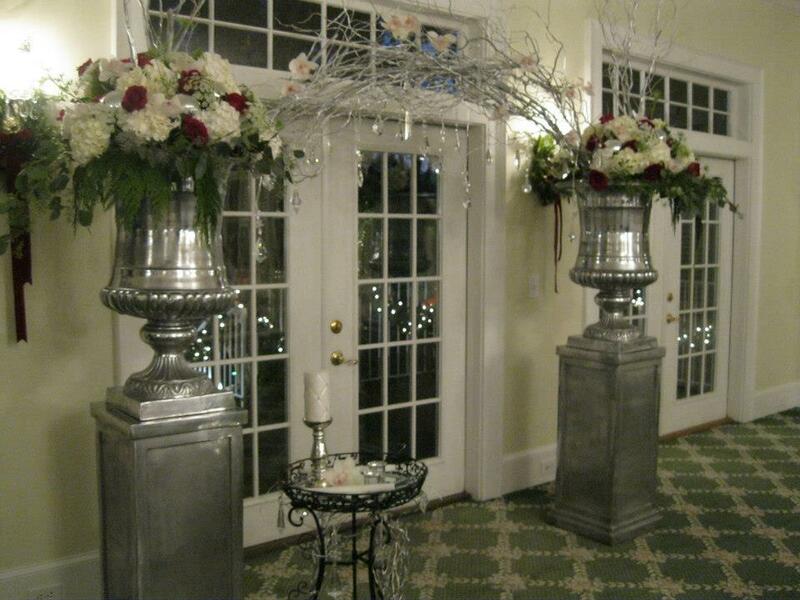 Carither’s flowers out did themselves with this silver and crystal alter for a Christmas wedding.